To advance the common good by creating lasting changes to improve lives in our communities. The United Way of West Central Connecticut originated as the Community Chest of Bristol, Conn. in 1922 and later expanded into the towns of Burlington and Plymouth. 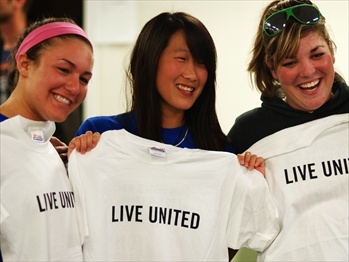 The United Way of Bristol, Burlington and Plymouth merged with the United Way of Plainville in 1996 to form the United Way of West Central Connecticut, which is one of 15 independent United Ways in Connecticut and one of 1,300 national and worldwide agencies. 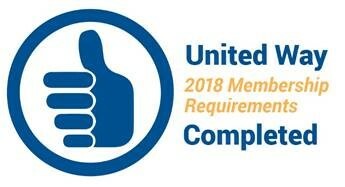 The United Way of West Central Connecticut has been in partnership with individuals, business and organizations working to improve community life for over 90 years. Local United Ways create long-lasting community change by addressing the underlying causes of the most significant local issues. Common focus areas include helping children and youth achieve their potential, promoting financial stability and independence, and improving people’s health. Our goal is to create long-lasting changes by addressing the underlying causes of problems. It takes everyone in the community working together to create a brighter future. So we bring together people from all across the community–government, business, faith groups, nonprofits, the labor movement, ordinary citizens–to tackle the issues. Because we all win when a child succeeds in school, when a family becomes financially stable, when people have good health. The United Way of West Central Connecticut is governed by a local board of directors and serves the communities of Bristol, Burlington, Plainville and Plymouth/Terryville. In 2001, the United Way of West Central Connecticut began a business transformation process. This process has resulted in a new business model in an effort to become more relevant and effectively impact the communities we serve. United Way is still the most effective way for you to invest and participate in your community.